Good morning, Friends! I hope you all had a wonderful Mother's Day weekend! It was pretty rainy and cold all day around here. We were supposed to have a soccer game but it was cancelled due to weather. The boys won their game on Saturday so that secured their second place finish in their division! Woohoo! Because of the icky weather, we just did some errands and then hung around the house. I know Nick was bored but I thought it quite nice. And I didn't have to do anything! Today I have a sewing class on how to make a cute bag. Bags... do we ever have enough? Lol! 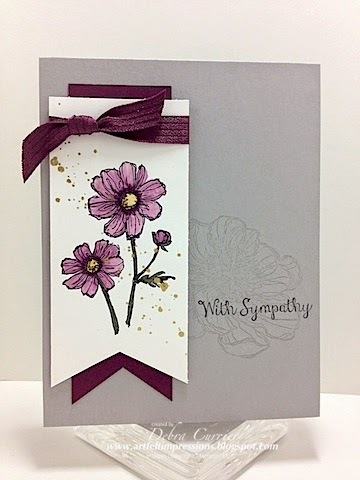 Lovely card using the new colors!